Today, however, historians and political scientists believe that Shelest facilitated certain economic reforms in order to enhance Ukraine’s autonomy — or a “controlled Ukrainian autonomy” — just as he supported a limited degree of Ukrainization. Shelest also supported the idea of installing a bust of Stalin near a wall in the Kremlin, an idea that was discussed on the highest party level. Yet in his diary (begun in 1930 and later supplemented by his memoirs) he writes: “In that period — 1932-34 — there was a terrible famine in Ukraine. Entire families, even entire villages were starving to death. There were numerous cases of cannibalism...It was obviously a crime committed by our government, yet this fact is shamefully kept secret.” Finally, some “experts” insist that dissidents were being arrested under Shelest, and that he was lobbying for sending Soviet troops to Czechoslovakia, while others stress that even if he did all this, Shelest saved many Ukrainian dissidents from repressions, encouraged the development of Ukrainian culture, and ordered the construction of historical monuments. In a word, this is another case of “Shchedrin-type symbiosis,” which is revealed by a look at various aspects and types of political figures. It is equally true, however, that dominant aspects must be singled out. It would not be correct to portray Shelest as an official who willingly carried out repressive acts while being a latent supporter of Mazepa’s ideas and secretly hoping for Ukrainian independence. This was never the case. Then what was? Before this question can be answered, we must take a closer look, however fleeting, at Petro Yukhymovych Shelest’s biography. Shelest was born on Feb. 14, 1908, in Andriivka, a village now part of Kharkiv oblast. He earned a living as a water carter, mail carrier, porter, and worker at a railway station, where his job was to nail rail spikes. A powerfully built man, he hammered in the spikes with a single blow. By 1927 he was studying at a party school in Iziumsk and became a member of the All-Union Communist Party (Bolsheviks) — AUCP(B) — in 1928. Later he studied at Kharkiv’s Artem Communist University, then at the local engineering and economics institute. In 1932-36 he worked as a shift engineer. Later he became the deputy manager and manager of a machine shop at Mariupil’s Illich Works. In the evenings he took courses at the local metallurgical institute. At this time he married Liubov Banna, who bore him two sons: Borys in 1933 and Vitalii in 1940. In January 1940 his wife died after a long illness. In April of that year Shelest married Iraida Mozhova, who raised Borys and Vitalii. In 1936-37 Shelest served in the Red Army. He then became a machine shop manager and was later placed in charge of production. Eventually he became the chief engineer at the Hammer and Sickle Factory in Kharkiv. He was elected a member of the factory’s party committee from where he was transferred to do party work in accordance with a resolution passed by the Central Committee of the Communist Party (Bolsheviks) of Ukraine — CC CP(B)U. From 1940 to December 1941, Shelest was secretary of the Kharkiv party committee, in charge of the defense industry. During the Second World War and in the early postwar years he headed the defense industry department in the Cheliabinsk oblast committee. He also worked as a party instructor and party organizer at a number of factories, and as deputy secretary for defense in the Saratov oblast committee. In 1946-48, Shelest became the party organizer at Saratov’s aircraft works under the aegis of the Ministry of Aviation Industry (MAP) of the USSR. In 1948, as an expert mechanic, Shelest was transferred to Leningrad’s party organization. The local officials took a closer look at him and then Leningrad’s obkom recommended him for the post of manager of MAP. This recommendation was approved by the Central Committee. However, Shelest’s sojourn in the “northern capital” proved of short duration, as he was appointed director of the Kyiv plant of Minaviaprom following a resolution passed by the CC AUCP(B) on April 12, 1950. Like in Leningrad, Shelest’s managerial performance in Kyiv was exemplary. In a word, he would have had a normal service record if he had not been urged to accept party work in 1954. In November 1952 he was summoned by Leonid Melnykov, the first secretary of the CC CP(B)U, and offered the post of chairman of the State Planning Commission at the Council of Ministers of the Ukrainian SSR. Shelest refused but was later summoned for an interview at the CC AUCP(B). Once again he refused the offer in Moscow. Later, he was offered the post of first deputy minister of the furniture industry in Ukraine. Shelest was outraged by the offer, but worse was in the offing. First, there was the Kyiv oblast committee, which he headed in 1957-62. From July 1963 until May 1972 he was entrusted to rule all of Ukraine as first secretary of the CC CP(B)U.
Shelest became a member of the Central Committee and eventually was admitted to the Soviet communist inner sanctum, the Politburo of the CC CPSU. He was repeatedly elected member of the Supreme Soviets of the USSR and the Ukrainian SSR. He was awarded the most prestigious Soviet government awards: the Star of Hero of Socialist Labor; three Orders of Lenin; Order of the Great Patriotic War-1st Class, and the Red Star Order. Either because Shelest was of Cossack descent, or for some other reason, he never treated his country as simply a stage of his Moscow career, unlike many leading officials in Soviet Ukraine. He described the date of his departure for Moscow as the “darkest moment” of his life because Ukraine meant so much to him. Perhaps this and other aspects determined Shelest’s human profile. The majority of those who ended up working with him remember him without rancor or disrespect. Speaking of “undiplomatic statements,” it is common knowledge that this was a “family trait” of almost all Soviet leaders, particularly those in charge of industrial facilities, who in this manner were “recouping their losses” at the expense of their subordinates. This author had an opportunity to verify whether Shelest behaved like this in informal conditions. The Yahotyn Game Preserve, once a closed site, is still located in this town outside Kyiv. Today it is under the aegis of Ukraine’s Ministry of Forestry. It was once a top-secret government facility, a duck-hunting haven for Ukraine’s Soviet and party bigwigs, who frequented it in the postwar years. This tradition was launched by Nikita Khrushchev. During his rule the first hunting lodge in Yahotyn was built near the lake where the hunting was done. In the 1970s a more comfortable two-story structure was built, but everything, including the game preserve, has since fallen into disrepair. In his time Shelest used to go there. I had to find the former rangers Oleksandr Metkalyk and Ivan Hlushko, who for more than 20 years had ensured the hunting conditions for Ukraine’s party leaders. They had shared their boats, talked to them, and shot ducks with them. They saw and heard things you will never find in the archives. Those rangers have refused to write their memoirs, but they told me lots of interesting stories. They said that Shelest, unlike the others, always behaved well. He drank only red wine; he sang Ukrainian songs together with Hlushko, and never used four-letter words in their presence. I asked if Shelest would get excited on these hunting trips. They said yes. In this he was different from Shcherbytsky, to whom hunting was rather an obligatory ritual: he would rest his gun on the bottom of the boat and ignore the ducks, spending hours reflecting on things that had nothing to do with the early morning on the lake. According to the rangers, Shcherbytsky never used “undiplomatic expressions” in their presence either. Even if Shelest were difficult to deal with, some Ukrainian dissidents of that period — Viacheslav Chornovil, Ivan Dziuba, and Sergei Paradzhanov — were guarded in their comments and even referred to him with a certain degree of sympathy. In May 1972 Petro Shelest was relieved of his post as first secretary of the CC CPU and “promoted”: he went to Moscow, where he became one of the deputies to the chairman of the Council of Ministers of the USSR. He was still a member of the Politburo of the CC CPSU when the Kyiv-based journal Komunist Ukrainy (the theoretical and political organ of the CC CPU) published a review of Shelest’s book Ukraina nasha Radianska (Our Soviet Ukraine, Kyiv, 1970). This review was not discussed at a meeting of the editorial board because it had been sanctioned by Moscow. Shelest’s line was based on a dual loyalty to the Union and his own republic, and on his constant maneuvering between two political discourses: the centralist and the anticentralist. Shelest constantly and actively protected Ukraine’s economic interests. During a meeting of the Politburo of the CC CPSU in 1965, he openly opposed Suslov and other party leaders. The reason was the arbitrary decision of the Ministry of Foreign Trade (Vneshtorg) of the USSR to sell 450,000 tons of sunflower oil cake to Switzerland without even formally asking the Ukrainian leadership’s consent. Shelest not only protested this but also wrote a memorandum proposing to rid the Ukrainian SSR of the guardianship of Vneshtorg and other Moscow-based foreign trade agencies. The archives contain a number of memoranda that Shelest sent to the central institutions in Moscow, primarily the CC CPSU, in which he clearly stated his stand, particularly in economic matters, and criticized the central economic administrative structures. Shelest later recalled them. The story of the building of Ukraine Palace has the makings of a modern-day thriller. Moscow forbade its construction, saying that Kyiv had the October Palace. Shelest then resorted to the following maneuver. He informed the central authorities that a modern movie theater was under construction. The project was approved, but when it transpired that the palace was being built, all hell broke loose. Shelest had to be straightened out. Moscow dispatched a commission to Kyiv, led by Nikolai Podgorny, but there was no returning the funds that had been channeled into the project, and the palace was finally built. Shelest did not limit his activities to the economic sphere, and other things started being associated with his term of office. 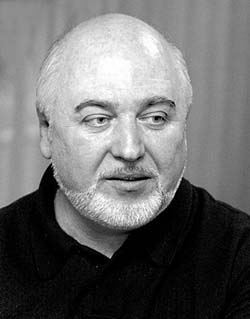 For example, he actively supported the Virsky Dance Ensemble and folk art in general, while not suppressing the other arts, including Sergei Paradzhanov’s creative endeavors. During a meeting of the Politburo of the CC CPU a resolution was adopted on Shelest’s initiative, entitled “About the Creation of the Multivolume History of Towns and Villages of the Ukrainian SSR. ” At this time all the work and the editing of Ukrainska Radianska Entsyklopediia (Ukrainian Soviet Encyclopedia), were headed by Mykola Bazhan. This was also understood in Moscow. Before the start of the 1970s, Leonid Brezhnev was not against polemics taking place during Politburo meetings, where critical opinions were aired. In fact, he didn’t openly oppose this attitude even later, but experienced “courtiers” quickly figured out what the General Secretary liked and disliked. 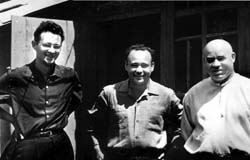 Gradually, “unanimity of thought” was formed around “dear Leonid Illich,” but Shelest was not part of this group. To a certain extent, a paradoxical situation emerged, considering that Shelest was known to have played an important role in the October 1964 coup that toppled Nikita Khrushchev. Brezhnev and Podgorny had entrusted Shelest with negotiating Khrushchev’s “shortcomings” with a large group of party functionaries (36 in all) in Ukraine. Shelest met with these people, thereby laying the foundations for Khrushchev’s fall during the plenary meeting of the CC CPSU. 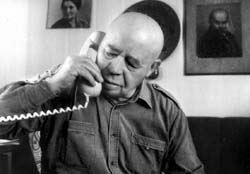 Later he wrote that the issue of Khrushchev’s replacement was not on the agenda until the October plenary meeting, and that he, Shelest, had learned about the intentions of the coup plotters only at the meeting of the Presidium of the CC CPSU. Relations between Shelest and Khrushchev were not consistently positive. For one thing, Shelest was opposed to Khrushchev’s idea of splitting up party organizations into rural and industrial ones. In fact, he openly stated his dissenting position. I should point out that Shcherbytsky, who was then chairman of the Council of Ministers of the Ukrainian SSR, also criticized Khrushchev’s policy. He paid a dear price for this: unlike Shelest, he was demoted to Dnipropetrovsk in 1963 but reinstated in 1965. Nevertheless, Moscow no longer trusted Shelest. His fate was decided by the Kremlin, all the more so as the efforts of his political enemies, rivals, and the state secret service had created Shelest’s image as that of an “excessive” Ukrainian patriot, who was allegedly planning to expand the scope of Ukraine’s autonomy and assembling a group of young politicians, who were not satisfied with Brezhnev’s politics and conduct. The first alarm signal came when Vitalii Fedorchuk was appointed head of the KGB under the Council of Ministers of the Ukrainian SSR. He turned out to be a devout adherent of a policy of harsh repressions of all dissent, persecution of dissidents, and suppression of the Ukrainian national intelligentsia and samvydav (samizdat). Fedorchuk’s number-one task, however, was to collect information with which to discredit Shelest and get him out of Ukraine, the sooner the better. In fact, his successor had already been designated. In April 1971, when Shelest headed the CC CPU and was a member of the Politburo of the CC CPSU, Shcherbytsky also became a member of the central Politburo. This was a very clear signal and Shelest knew what it would lead to. Shelest went to Moscow, and in April 1973 the above-mentioned devastating critique of his book Our Soviet Ukraine was published in Komunist Ukrainy. It was a sure sign that the man would never return to big-time politics. Later, he was stripped of his Politburo membership (for his errors in implementing “Lenin’s nationalities policy”), relieved of his post, and forced to retire. After his retirement Shelest did not work for nearly a year. In his own words, “I was upset; I suffered and tortured myself.” Then he decided he could still work in his profession. He contacted Brezhnev, who initially wanted to “bounce him around like a ping-pong ball,” but on Shelest’s insistence he called Dmitrii Ustinov, the secretary of the CC CPSU. Ustinov called Dementiev, the defense industry minister, who gave Shelest a job at a factory associated with the Research and Design Bureau of Automation in Dolgoprudnensk. The party “nationalist” worked there for more than a decade and retired as an ordinary employee, not as a former leader, in late 1984, two months before his 70th birthday. In 1991 he greeted the proclamation of Ukrainian independence. Shelest’s first visit to Kyiv after his retirement (he had long dreamed of this, but was forbidden after his ouster) took place only during Gorbachev’s perestroika. He made a number of public appearances that attracted considerable public interest. Dmytro Tabachnyk did interviews with him for the press and television, and later presided over his public appearances. It is entirely likely that at this time Shelest decided that neither Moscow nor Russia would be the place of his final repose. 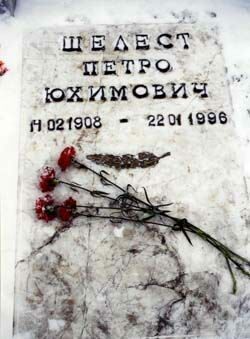 He died on Jan. 22, 1996, his last will and testament stating that he wished to be buried at Baikove Cemetery in Kyiv. This was done, and last year his wife was buried next to him. In February 2003 Ukraine marked the 85th anniversary of Shcherbytsky’s birth on a national level. But Shelest’s 95th anniversary was “forgotten.” Bad luck is still dogging him. While President Kuchma was in office we had a different “national memory,” and once again Shelest does not fit in it. Nevertheless, I will end on an optimistic note. I won’t be disappointed if my prognosis proves wrong. Yuri SHAPOVAL is a historian based in Kyiv.